Did you happen to catch the Oscars this past Sunday night? My favorite segment is the Red Carpet Arrivals. I love everything from the dresses to the shoes and even E!’s mani-cam. 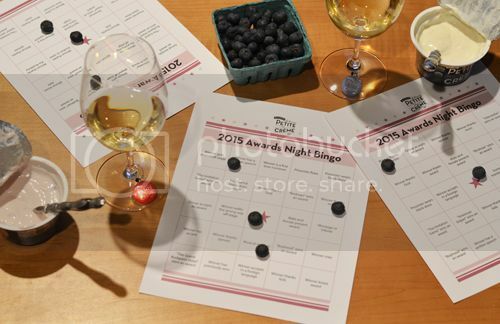 This year, I was tapped by Stonyfield to host a Oscar’s Watch Party, complete with fruity wines, Chef Ludo’s Rice Pudding and Awards Night Bingo! In between awards, we also caught a glimpse of Stonyfield’s new commercial, featuring Petite Creme. If you haven’t had a chance to see it yet, you can view it here. 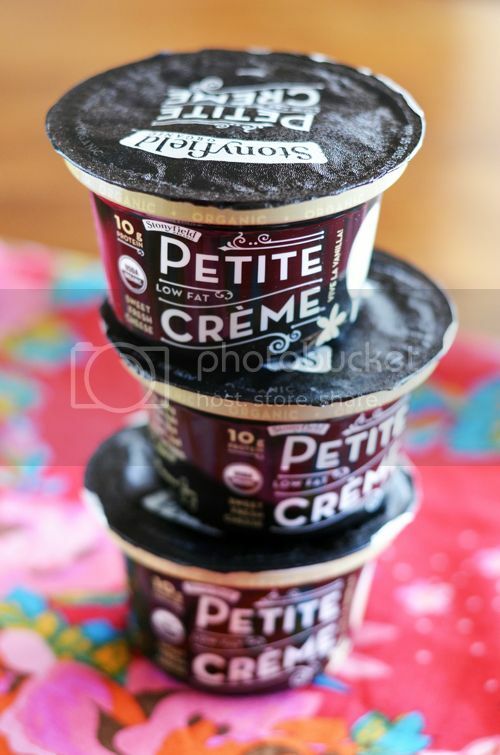 Petite Creme is Greek’s creamy, French cousin. It’s silky, sweet and less tart… just perfect when you want a little something on the side every now and then. Put all the ingredients into a pot. Bring the mixture to a simmer, stirring constantly making sure that it doesn’t stick to the bottom of the pot. Cook for 45 minutes until the rice is tender and the mixture is very thick. Transfer cooked rice to a shallow bowl, place that bowl inside another bowl of ice water and allow to chill completely. Once cool you may keep in refrigerator. Serve with Confiture de Lait (recipe below), crème anglaise, fresh seasoned fruits and/or jams, allowing each guest to add in to their desire. Preheat oven to 425 degrees. Boil some water. 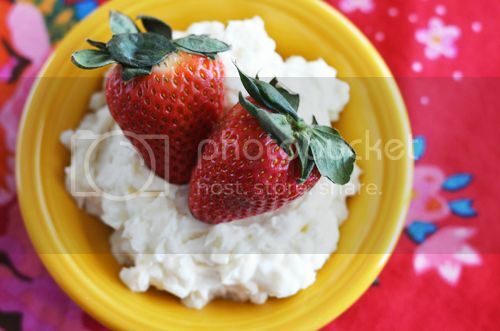 Pour the condensed milk into a glass pie pan or shallow baking dish. Stir in a few grains of sea salt and cover the pie pan with foil. Place the pie pan in a roasting pan and add enough hot water to the pan so that the water rises halfway up the sides of the pie pan. Bake until the milk turns caramel-brown, 1 to 1 1/4 hours. Make sure you have enough hot water in the roasting pan. Cool in the roasting pan. If the caramel is lumpy, whisk or strain through a fine-mesh sieve. Keep refrigerated. To serve, warm gently in a hot-water bath. 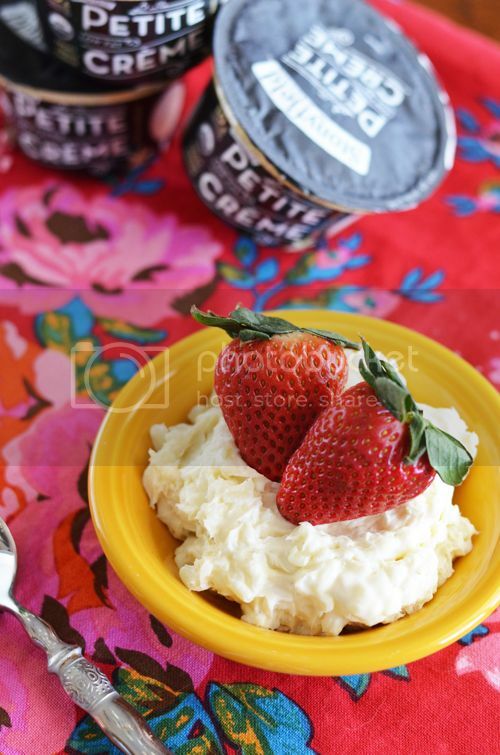 Want to win a Stonyfield Petite Creme prize pack of your very own? Just follow the prompts below and you could win a Petite Creme appetizer bowl & an exclusive Petite Creme wine charm set! Stonyfield is also offering a ‘Buy 1, Get 1 Free’ coupon for any Petite Creme flavor… click HERE to print it off and good luck! Blueberry is my favorite flavor, topped with a bit of granola. I also like it over pancakes and waffles. My favorite is orange cranberry. French Vanilla is my favorite Stonyfield flavor. Next post: Celebrating our #DisneySide with an @Home Celebration!